More than 15,000 Walung people (who are also known as Olangchung, Walungchung, Holung and Walungge) live in the northern part of the Taplejung District of Mechi Zone in far eastern Nepal. They inhabit about a dozen villages, the five largest of which are named Walungchung, Yangma, Gunsa, Lilip and Lungtung. 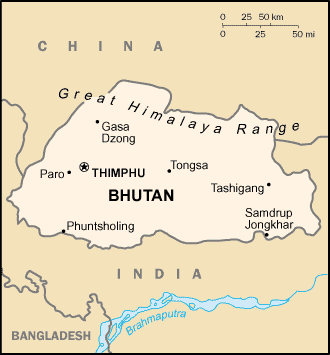 One source notes: 'The upper Tamur in Taplejung District has a number of Bhotia [Tibetan] settlements. The largest is Walungchung, once a flourishing gola (mart) for transaction of goods between Tibet and Darjeeling. The houses are built of stone walls with wooden shingle roofs. Crops include barley, wheat and potato. The people adhere to Buddhism and their chief deity at the Walungchung gompa is Chenrezi. The Walung people have been hit hard by the decline in Tibetan trade and many have migrated to Darjeeling, Kathmandu and Hile.' Approximately 1,000 Walung people now live in the Darjeeling District of West Bengal in India. The Walung are believed to have migrated south from Tibet several hundred years ago, before settling in their present location. Their language has evolved over the years, so that today it reportedly shares 71 per cent lexical similarity with Lhasa Tibetan; 68 per cent with Dolpo, Loba and Kyerung; and 66 per cent with Lhomi, Helambu Sherpa and Baragaunle. These linguistic relationships show the Walung's historical link to Tibet. For generations the Walung dominated trade in this part of Nepal, earning their livelihoods as middlemen on the route between Tibet and India. In 1972 one book reported, 'Many successful and rich traders are in residence here. Exports to Tibet include grain, cotton thread and material, sugar, cigarettes, matches and other such goods generally of Indian origin, in exchange for wool, woolen carpets and Tibetan salt. Yak, mules and dzums are used by traders as pack animals. Sar is the nearest town in Tibet, about a four or five day's journey from the border.' When modern roads and transportation killed trade through the Walung area, many of the people were left in turmoil as they had completely relied on trade as their source of income. There were few crops planted in the Walung villages, and few kept animals. Tibetan Buddhism is the religion of almost all Walung people. The main village of Walungchung has a large monastery that was built more than 200 years ago. Monks from Lhasa were often invited to come down to the Walung area to reside at the monastery. 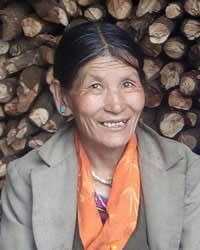 The Walung are a desperately needy unreached people group. They have no Scripture, Jesus film or gospel recordings in their language. Few have ever been exposed to the gospel in a meaningful way that would allow them to intelligently accept or reject Christ. In 1958 the first four Walung boys attended a missionary school in Darjeeling, but the Walung's homeland in Nepal remains a spiritually barren land. View Walang, Bantawa in all countries.